I’m nesting. I think we’ve all agreed that that’s happening around here. And one thing un-done at our home was my 3-year-old’s window. He had a shade, but nothing to complete it, make it look nice. 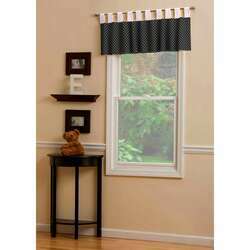 Don’t need a valance? Or maybe you need a lot more in terms of bedding, design and accessories? There are so many options at Design Carousel to get your baby’s room all matchy-matchy or to mix and match. Either way, it’ll be stunning and totally your style. I’m so impressed with the bedding choices, and the nursery decor just blows my mind. From classic to whimsical, you’ll find the looks you need. Does anyone have a coupon code for a discount, free shipping or both for Carousel Designs. I have found a crib bedding set that I would like to purchase but the price is over $300.00 plus additional for shipping. It doesn’t seem right with so many stores offering free shipping before Christmas.